Would you like to be able to influence more effectively and inspire more people to action? Would you like to master your communication skills and have more people listen to what you say? You may be missing out on winning new clients because of how you communicate, and not even know it! 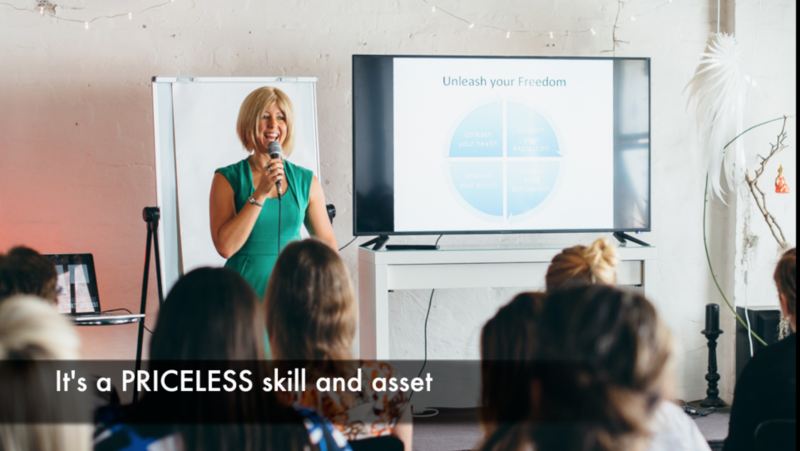 At an Unleash Your Influence masterclass, you will learn how to express yourself more confidently, get your message across more clearly & earn what you're worth! In this one transformational day, you can break down those fears and discover exactly how to be more influential and powerful when communicating. This Masterclass is for you if you are a small business owner or professional who wants to have a more powerful voice and speak with greater authenticity, to grow relationships and better promote yourself. I'm presenting my BEST strategies that have helped me, and countless others to attract more clients, grow their business to $100K+ and make a greater difference in people's lives. You'll take pages of notes on how to present skillfully and increase your authority, confidence and bank balance. Using the ‘Unleash Your Influence' principles, you will get an immediate response when you speak that will be unlike any you have experienced before. * Have all your personal questions answered. Content tailored to suit the group. Break through your fears and doubts and share your message with more people, by learning how to communicate with authority and influence.